Disclaimer: This will be a shorter post than usual so that we can get to the 3 Monkey Sports Giveaway at the end of the post! Two and a half years (2004-2006) into his Major League career, Yadier Molina was a .238 hitter. Yet, during this time, Molina threw out 62 of 122 (51%) would-be base stealers, so his lack of offense was not too big of an issue. In his book, One Last Strike, Tony La Russa said that he would have started Molina at catcher every single game during his tenure as manager even if he had a .000 batting average. 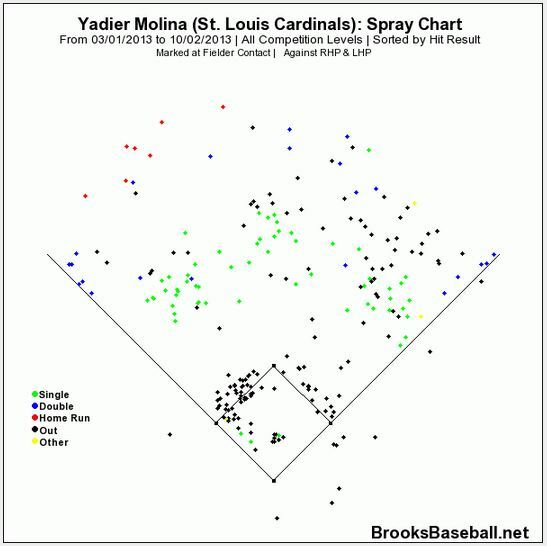 This is a testament to Molina’s ability behind the plate. In nine years for the Cardinals, Molina has racked up an ample amount of defensive trophies: 5 Gold Glove Awards, 2 Platinum Glove Awards, and 5 Fielding Bible Awards. As I looked deeper into the statistics, I found that of his 465 hits since the start of 2011, 105 of them (22.6%) have occurred on the first pitch of the at-bat. For perspective against his overall averages, Molina hit an incredible .361 on the first pitch from 2011 through this season. I used to question Molina’s approach when he swings at the first pitch, but after looking at his numbers, I can no longer complain. Next, I looked at his yearly spray charts, and I found something quite intriguing–something that shows how good Yadi truly is at handling the bat and making season-to-season adjustments. 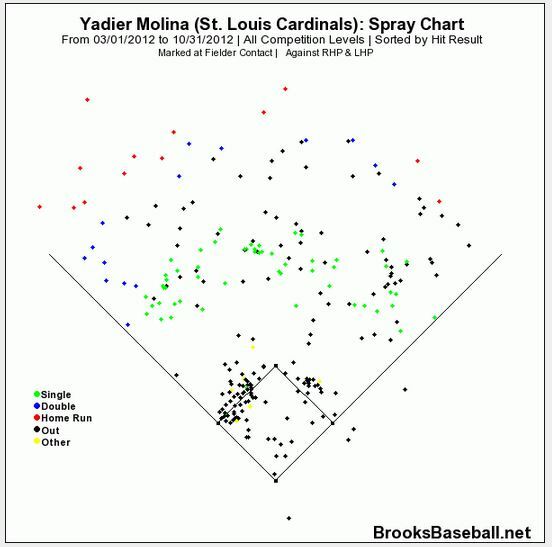 As you can see, the majority of Molina’s hits were to center and right field in 2011–the year in which he hit .305. In 2012, pitchers undoubtedly made adjustments after watching game film of Yadi’s approach in 2011. 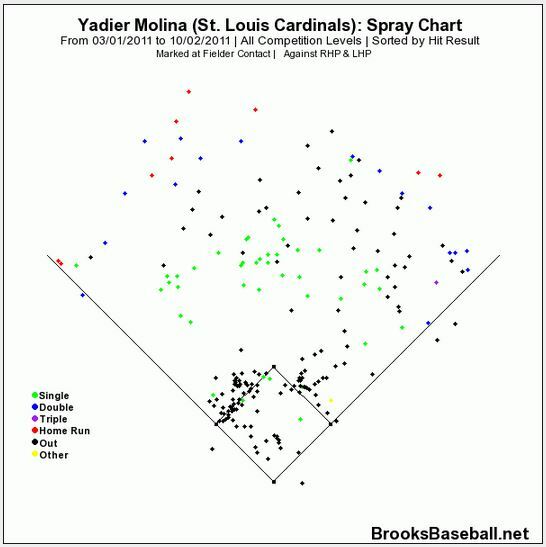 Yet, as you can see by the 2012 spray chart, Yadi was one step ahead of the pitchers and made his own adjustments as well. He hit .315, and the majority of his hits were to left field. Finally, in 2013, a year after he was largely a “pull-hitter,” Yadi reverted back to his 2011 approach by having the majority of his hits to center and right field–while recording a career-best .319 batting average. 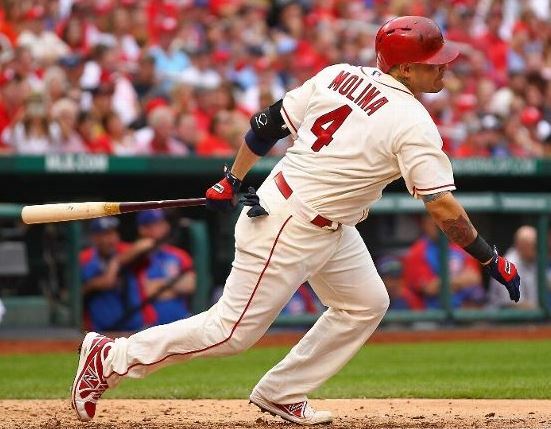 1) Molina realized that sometimes the best pitch to hit in at-bat is the very first pitch, and his .361 batting average combined with 12 home runs and 57 RBI on the first pitch have been an integral part of his offensive production over the past three seasons. 2) Molina, as a game-caller for his own pitchers, knew that pitchers would make adjustments to his hitting approach based on his performance the year before. Thus, he made adjustments as well–being an “opposite-field” hitter in 2011, a “pull” hitter in 2012, and an “opposite-field” hitter again in 2013. Is this merely a coincidence? It very well could be. However, with such a big sample size–an entire season–one would think that he has purposely brought different approaches to the plate each year. Information on the 3 Monkey Sports Giveaway Contest! 3 Monkey Sports was kind enough to provide a Matt Adams autographed baseball and a Joe Kelly signed photo for two lucky readers of my blog. 3) Enter your Twitter handle/name into the “Comments” section of this blog post. 3) At this time, I will compile the list and place all names into a hat. 4) The first name picked (AND verified) will get first choice on their prize. 5) The second name picked (AND verified) will get the remaining prize. 6) @3monkeysports will contact the winners on Twitter via Direct Message. 7) Winners must reside in the United States or Canada for shipping purposes. For privacy reasons, I do not want people to be sharing emails in my comments field because this can lead to unwanted spamming. Thus, this contest is limited to people who have a Twitter account. If you do not have a Twitter account, I am sorry, but this is just the best way to do it. You can always make one if you do not already have one as well. Be sure to check out www.3monkeysports.com for all sports’ memorabilia! Thank you so much for their generosity in providing two awesome items of two young Cardinal stars! Good luck to all! Make sure to share this blog and contest with other Cardinal fans! Joe Kelly has been the best starting pitcher for the St. Louis Cardinals since the All-Star break. 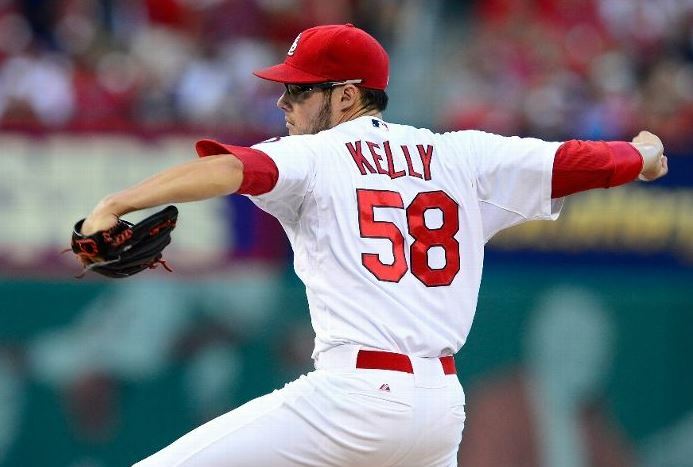 Including a brief stint back in the bullpen, Kelly has been one of the top pitchers in baseball since mid-June. Those statistics are absolutely incredible. He may not be pitching that deep into games, but he has pitched at least six innings in four of his last seven starts. Sure, the relievers (Maness, Siegrist, Rosenthal, Mujica) cannot pitch every single day, but who can really complain if Kelly pitches six innings and allows only one or two earned runs? If Kelly is truly the team’s best pitcher since June, then why is he not really being considered for the 2014 starting rotation? His performance thus far in 2013 as a starter has been impressive. His stuff is just nasty. His four-seam fastball can touch 98 MPH on the radar gun. His two-seam fastball comes in around 93-96 MPH and has tailing action that leaves left-handed hitters buckling at the knees. He is gaining confidence in his changeup and slurve which will only make him a better starter in the future. I realize that we have only seen a small sample size of Kelly as a starter, but as I stated above, he has the stuff to get both righties and lefties out. His laid-back personality shows that he will be able to survive a long season of up’s and down’s. Let’s see how he does for the rest of the season before locking him into the 2014 rotation, but the purpose of this article was to bring him into that conversation in the first place. He is left-handed. He has proven to be a successful pitcher thus far in his career–39-25 in with a 3.45 ERA in three seasons as a starter. Also, he is under contract through 2015 with team options for 2016 and 2017. However, there are also few knocks on Garcia. His health always seems to be in question–he has now injured both his elbow and his shoulder in his short MLB career. Also, for whatever reason, he has not been able to bring the success he has had at home with him on the road. From 2010 through 2012, his home ERA is an impressive 2.33. However, during that same span, his road ERA is 4.46. I cannot put a finger on this issue, but given the fact that half of his starts will be on the road, this can be troubling. He has been a successful starter in Triple-A. Just a year after being drafted, he has shown flashes of being a dependable starter at the big league level. Against the Royals in late May, he pitched seven innings and allowed just one earned run. When was the last time a Cardinals starter had a performance like that? His stuff is unbelievable. He is able to touch 97-98 MPH on the gun, and his 6’6″ frame allows him to throw his heaters on a downward plane–kind of like Wainwright. His curveball has been nasty when it’s on, and given time, it will only get more consistent. He also has a change that can be effective as well. Having only thrown just over 110 innings (Memphis + St. Louis) this season, has he been groomed to pitch 175+ innings next year? Not really. However, as a polished college pitcher with solid mechanics, I really do not see this as that big a problem for him. He has electric stuff. In his one big league start, he touched 100 MPH multiple times, and he flashed a devastating curveball. He has proven to be a successful starter in Memphis so far this season. Yet, he needs to fine-tune his off-speed pitches and learn how to get deeper into games. Look for him to develop this more the rest of the season and into the off-season. He is left-handed. He has been extremely successful for Triple-A Memphis–going 7-2 with a 3.39 ERA in 16 starts. He has not been able to translate this success to the big leagues just yet, but he has only been given seven starts so it may still be too early to tell. His last start was actually pretty good–going 6.0 innings and allowing only three earned runs. This could have been even better had Matt Holliday caught that flyball instead of having it bounce off his glove/hand into the stands for a home run. He is left-handed. Yet, it is tough to even make a case for Gast to be honest. Though he was 2-0 in three starts in the big leagues, he had a 5.11 ERA and was unable to pitch deep into games. Also, he is recovering from shoulder surgery and may not even be ready to return to live action until July 2014. Thus, with all the question marks, he is very unlikely to get this, but I figured I would include him in the conversation since he saw time in the starting rotation this season. The Cardinals have a surplus of pitchers for just two starting spots in 2014. The organization also has some promising prospects that will look to crack the rotation sometime soon as well–Zach Petrick, Marco Gonzales, etc. As we all know, shortstop is a weakness for the Cardinals. Though Pete Kozma has been good defensively in his rookie season, his bat has just been ice cold–.223 batting average, .273 on-base percentage, and .281 slugging percentage. He has not hit a home run since the second game of the season. The Cardinals already had Brendan Ryan at shortstop and dealt him for Maikel Cleto (haha!). Thus, they don’t need another one and need to make a move to improve at the position during the off-season. It is likely at least three to five years before any of the team’s recent draft picks at the position will make it to the big leagues. Thus, wouldn’t it be smart to trade part a surplus to improve a glaring weakness? Well, in my humble opinion, I really do not want to trade Wacha or Martinez. Both project to be top-end of the rotation guys and have shown flashes of brilliance in brief appearances in the big leagues. The only other player on the above list that could bring a solid return would be Garcia. I realize that potential trade partners will be worried about his health, but he claims that he is on track to be ready by October so hopefully that is not an issue. Also, compared to other starters in the league, he has a relatively cheap contract–$7.75 million in 2014 and $9.25 million in 2015. I realize that most people believe that every rotation needs at least one left-handed pitcher. This makes a lot of sense, especially if you face an opponent that has a lot of left-handed hitters. However, Kelly has been more successful against lefties than he has against righties this season. Also, Wainwright and Lynn have shown to be successful against lefties as well. Thus, does it really matter if the pitcher throws left-handed or not? In my opinion, as long as the pitcher is able to get lefties and righties out, then that is all that matters. Disregarding the injury to Yadier Molina since it happened so close to the deadline and the catching market was extremely thin, what were considered the three major areas of need for the Cardinals at the trade deadline? Well the trade deadline passed, and externally, the Cardinals did not make a move to “improve” in any of these three areas. In fact, the only move the team made was sending embattled lefty, Marc Rzepczynski, to the Cleveland Indians for minor league infielder, Juan Herrera. Some fans on social media as well as sports talk show hosts raised their respective eyebrows at the lack of moves, especially given the way the team was performing in Atlanta and Pittsburgh. Well, as shown by the past two games, the Cardinals did make some “moves” after all, and they can truly be considered deadline DEALS. a. They improved the starting rotation by inserting Joe Kelly into the 5th spot. But what about Jake Peavy? Or Cliff Lee? Or even Bud Norris? Well, since the start of June, Kelly has a 1.49 earned run average. In other words, in 42 and one-third innings pitched, Kelly has allowed just seven earned runs. His control has not been the best (1.73 K: BB ratio), but opponents just cannot make solid contact against him. Since June, opponents are hitting around .200 against Kelly. Also, since the All-Star Break, Kelly is 1-0 in two starts. He has 12 and one-third innings pitched and has yet to allow an earned run. b. They improved at shortstop by going to a Daniel Descalso–Pete Kozma platoon at the position. Sure, Descalso is not a shortstop by trade, and after the season, the Cardinals really need to address this position. However, at this time, he is the team’s best option overall. Kozma is better on defense, but Descalso is leaps and bounds ahead of Kozma on offense. Descalso’s on-base percentage is .321 while Kozma’s is .282. Get ready for this next point. Seriously, get ready. In 134 LESS at-bats, Descalso has just one less double than Kozma with 16, has four more home runs with five, and has just three less RBI with 29. Based on that alone, who should be playing shortstop more often? I guess if you are more of a fan of defense you will pick Kozma, but I have to go with Descalso. His offense more than makes up for what he is lacking in defense. Thus, once again, the Cardinals did not have to sacrifice the future by dishing out top prospects for a marginal improvement at shortstop. Alexei Ramirez is a good player, but his value to the Cardinals compared to what the team already has at the position was not worth the asking price. Is Descalso the future at shortstop? No, but he can fill a current need for the Cardinals at a much cheaper price. If Descalso’s defense really takes a tumble, then Kozma can take over. Plus, by having a platoon, it will motivate both players to work harder, and if one is struggling then the other can get more starts. c. They improved in center by trusting that Jon Jay, a career .290 hitter, would start turning it around at the plate. Post All-Star break, Jay is hitting .311 and has a .367 on-base percentage. There is only ONE player on the team with better numbers than that right now, and it is Matt Holliday. During that time, Jay has three doubles, one triple, and six RBI. On the season, Jay may be hitting just .258, but this is definitely on the rise–he is hitting .300 since the start of July. Sure, he has a poor throwing arm and below-average range, but that takes a backseat if he is hitting like he has been. Also, as a past player, I am a firm believer in the notion that when a player starts hitting again, his defense often follows suit. Will this magically make his arm better? No. However, in my opinion, it will help him get better jumps on fly balls. 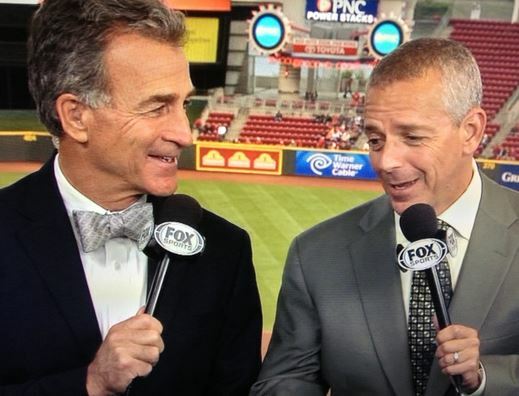 Sure, the team could have went out there and made a move for a center fielder, but in order to substantially improve at the position, Mozeliak would have had to relinquish one of the farm’s top prospects–something that just could not be done. Thus, let’s start giving Jay some credit. He is not an All-Star by any means, but that is not needed on a team full of All-Stars. As long as he hits around .280 or higher and gets on base at least 33% of the time, he is getting the job done. 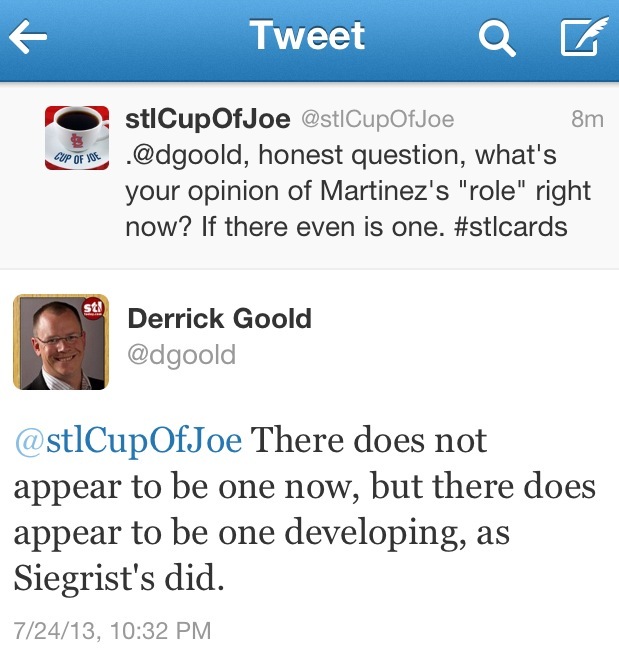 Once Oscar Taveras is healthy, he will probably take over, but until then, Jay is our best option. Deal with it. By filling needs internally and standing pat in center, the Cardinals not only improved for the rest of this season, but for years to come. 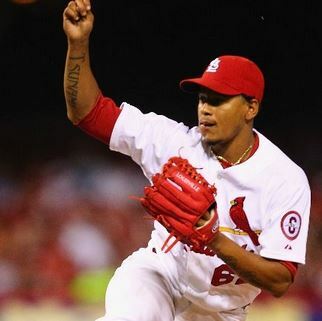 Under the guidance of Jeff Luhnow and now Dan Kantrovitz, John Mozeliak, has carefully built a top-tier farm system–full of future impact players like Kolten Wong, Michael Wacha, Carlos Martinez, Taveras, etc. Giving up Colby Rasmus in 2011 would look really bad right now if the team did not win the World Series. However, they did win so who can complain? Was there a deal out there that the Cardinals could have made that guaranteed them a better shot at winning the World Series? In my opinion, I do not think there was, so I am glad the Cardinals kept their prospects while improving the team in a much more cost-effective manner.